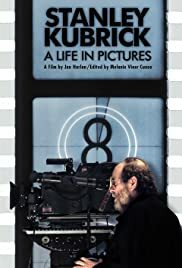 Jean Baudrillard (modern french philosopher) said this about Kubrick's film: Barry Lyndon is the best example: one never did better, one will never do better in ... in what? Not in evoking, not even in evoking, in simulating. All the toxic radiation has been filtered, all the ingredients are there, in precise doses, not a single error. The New Beverly Cinema is on, guess what, Beverly Blvd., just a block west of S La Brea Ave, on the north side. Street parking available on Beverly Blvd. and Formosa Avenue. Meters on Beverly Blvd. now operate until 8 pm every night. Plentiful non-metered parking is generally available on the first block of Formosa Ave. immediately north of Beverly Blvd. and is unrestricted after 6 p.m. and all day Sunday on that block. Other blocks of Formosa Ave. are now restricted after 6 pm (Please read signs carefully). The first block of Detroit Ave. immediately north of Beverly Blvd. (past the meters) is restricted after 6 pm Mon—Sat, but is completely unrestricted all day on Sundays. Served by MTA lines 14 (Beverly Blvd.) and 212 (La Brea). Head’s up, but I don’t think I am going to make it tonight. Still going to try. I want to see this in the theater! Oh oh oh oh oh!!!! !